Profesionální projektor s vysokým jasem, rozlišením XGA 1024 x 768 a se dvěmi lampami je spolehlivým řešením pro velké prostory a konferenční sály. 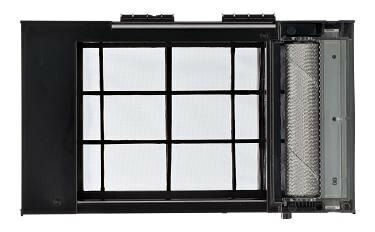 Delivering 7000 Lumens, the XD8100U performs superbly in large meeting rooms or conference venues. Featuring a unique, patented image processing algorithm that analyses the input signal and extrapolates high-definition data missing from the original image in real time. The result is startlingly clear, bright, pin-sharp images with every detail faithfully reproduced. Mitsubishi’s Natural Colour Matrix (NCM) allows intermediate colours – yellow, cyan and magenta – to be controlled independently of red, green and blue, allowing accurate and vivid colour reproduction across the spectrum. The XD8100U also features built-in edge blending technology, advanced colour-matching to ensure flawless multi-projector performance, Picture-In-Picture facility and much more. 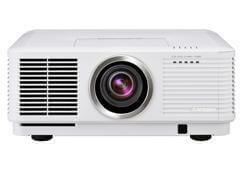 A real professional installation and rental projector. Other features: Lamp Relay Mode Automatic Self-Cleaning Filter Heat-pipe Cooling System Colour matching Interchangeable Colour Wheel Remote Control to Match the Installation Network Connectivity Stand-by Mode under 0.3W Geometric Correction Cornerstone Correction Curved Surface Projection Correction Edge Blending and Colour Matching 24/7 Operability Through extensive engineering and testing, Mitsubishi can confirm the XD8100U, WD8200U, UD8350U and UD8400U can be operated 24 hours a day, 7 days a week. 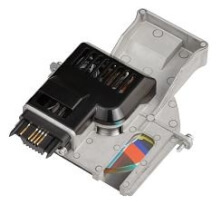 Engineered to the highest standard, Mitsubishi is confident that these DLP® models offer the perfect solution for full system integration where a long life performance is required. However, for better performance we highly recommend to turn off the projector for at least one hour a week. 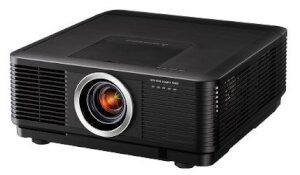 The regular Terms of Guarantee for Mitsubishi Projectors apply on the above mentioned models.